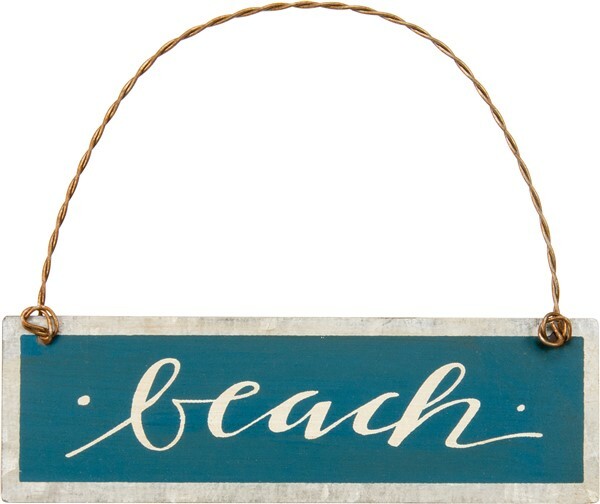 Fun small sign to remind you of your favorite place...the beach! Hang it on a beach themed Christmas tree, on a drawer pull or anywhere you like. It is made of tin and is approx 4" x 1.256". You will want to keep and one to give.